In the last part of our “Ask an Influencer” series, I discussed the pros and cons of paid collaborations versus campaigns that offer only free products. As you might imagine, when it comes to working with brands, I’m much more partial to paid campaigns. And I’m definitely not alone. I mean who wouldn’t want to be paid to post about cool brands you love? But, when I’m working on the brand side as a Campaign Success Manager at AspireIQ, I can totally understand why a brand might think that paying an influencer to post about their product might lead to an inauthentic or forced relationship. When you pay an influencer to post, I'll admit, there is a fine line between treating the relationship as a business transaction and a mutually-beneficial relationship. That said, there is a way to build genuine relationships with influencers, even if money is exchanged throughout your partnership. How? Well, the best way to create authentic relationships with influencers is to allow them to be just that, authentic to themselves. This means you should only ask an influencer to do something that seems organic to them. Don't ask an influencer to create content that doesn't look anything like what they create organically, and don't ask them to talk about products that do not align with their personal brand. There's a plethora of influencers out there, find ones that already create the type of content you're looking for. Here’s a sure way to create an inauthentic relationship. I recently finished a brand collaboration that paid me for two Instagram posts in addition to two IG stories. The brand was super nice right off the bat and they were really excited to partner with me, as I was with them. After I signed a contract with the brand, they then sent over rather excessive creative brief. I felt like I had to create content that didn’t feel natural to me. It almost felt like they were using me to replace an in-house model. There was zero flexibility and I felt like I had to take about 15 different images just to make sure I didn’t miss anything on their laundry list of to-dos. I ended up sending them about 10 extra images just because I wasn’t sure what exactly they were looking for. What if I included something that wasn’t allowed in one photo? Or what if – heaven forbid! – the lighting wasn’t up to their standards? It left me feeling like they didn’t have the creative trust in me to complete the collaboration without being guided through it step by step. It made me question why they hired me in the first place. If they didn’t like the content I create organically, then why collaborate? Brands, here’s how to get what you want while still maintaining authentic relationships. As an influencer, I’ve learned from experiences like these and applied these insights to my work on the brand side. What’s the most important rule? Hire influencers that create the content you’re looking for already. If an influencer creates on-brand content, then they don’t need a ton of guidelines unless you are looking for a certain type of image. Instead of potentially putting off an influencer by sending an overwhelming creative brief, include a few examples of images you like (AspireIQ Visual Terms lets you do this with ease). Instead of saying, “Imagery must have an organic look a feel”, source influencers who already create content that you love. Basically, give influencers the room to be creative and to be themselves. This gives the influencer the freedom to create amazing and unique content for you. 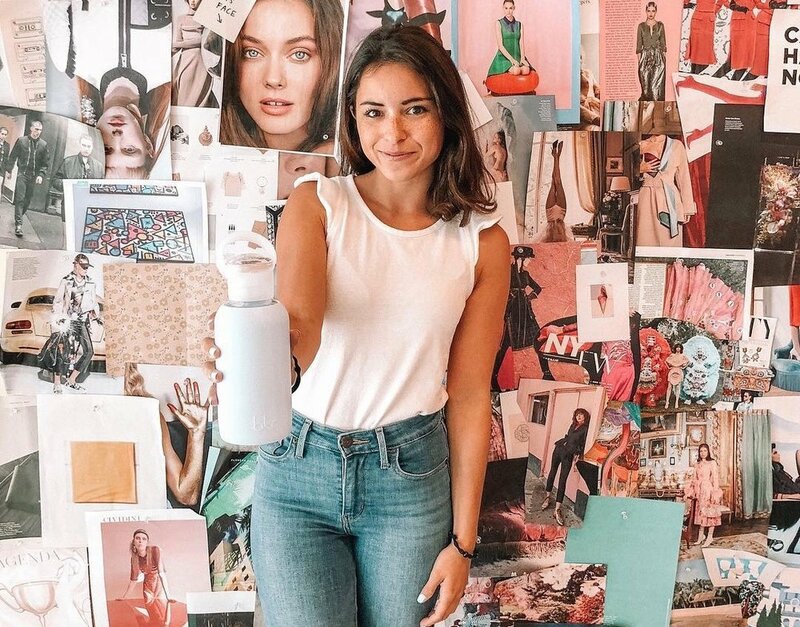 This freedom not only leaves the influencer with a great impression of the brand but also makes them want to collaborate again in the future. If you send over a grocery list of items they need to check off, the chances are they won’t want to collaborate with you again. Honestly, the rule to follow is, the clearer and simpler the guidance, the better. At the end of the day, the goal is to create content that is authentic to each influencer. Your audience will be able to see through any image that seems forced, giving you the opposite effect of what you’re looking for. Always make sure to let the influencer know how much you love their images and make sure to tag them when you re-use their content. This is a win-win for the long-term relationship you are about to have! Coming up Next! What if you find that an influencer created unsavory content for your brand? Check back for a blog post on how to ask for a reshoot!